First year undergraduate student Bisman Deu has been listed in the Forbes 30 under 30 Asia List – Class of 2017. Bisman has been recognised for her innovative projects Green Wood and Colour the World Pink. At the age of 15, Bisman invented "Green Wood", a low-cost material made of rice waste which could be used to build housing for the underprivileged. The product also reduced rice burning in North India, a major contributor to pollution across the region. 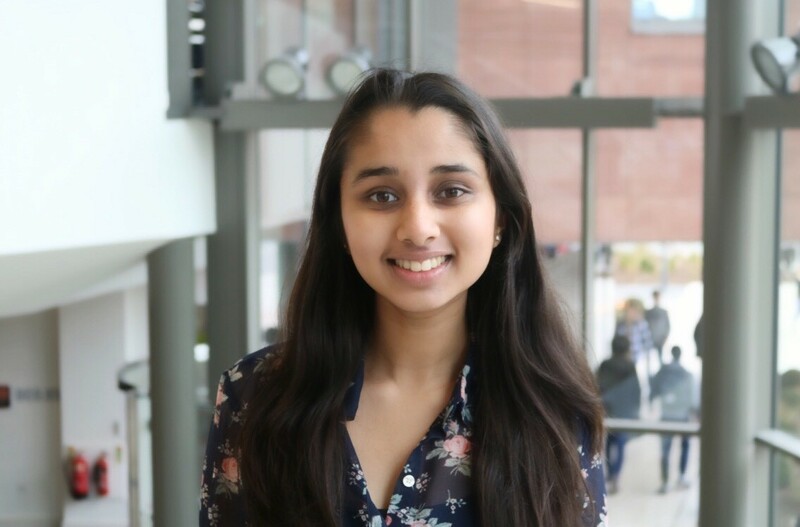 The inspiring Economics student, was also selected by UNICEF to be a keynote speaker and panelist at their State of the World’s Children event in New York. Bisman is not only passionate about sustainability and innovation, but is also an ardent supporter of women’s rights and empowerment which led her to start her own campaign, ‘Colour the World Pink’. This aims at promoting entrepreneurship and leadership among girls with an attempt to bridge the ambition gap. To be featured alongside the best and brightest in Asia is a dream come true and I am rendered speechless and absolutely humbled. The list includes honourees from 24 countries across Asia Pacific, making it one of the world's most exclusive clubs. I will be attending a conference which will gather both honourees and alumni in Manila, Philippines this July. Being able to represent Warwick not only at the Women Economic Forum but on the Forbes list is such a huge honour. I hope I can continue to make my institution proud.